The long-anticipated Hitchcock film starring Helen Mirren and Anthony Hopkins is released next Friday and if you want to get your fix of Hitchcock to whet your appetite then head over to The Phoenix Cinema in East Finchley on Sunday to catch a double bill of two of his biggest movies. 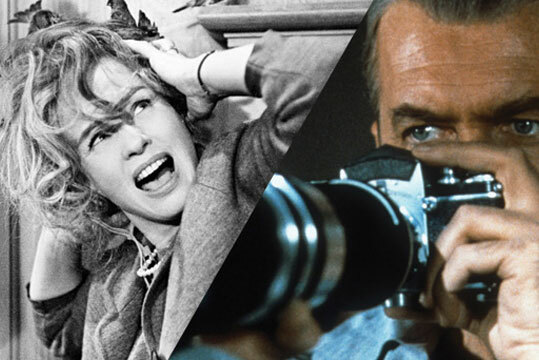 The cinema will be showing The Birds, starring Tippi Hedren as a woman who moves to a seaside town and is terrorised by birds, and Rear Window, which stars Jimmy Stewart and Grace Kelly in the story of a wheelchair-bound photographer who believes he has witnessed a murder. Screening starts from 1.30pm and tickets are between £7-£9.50. Click here for more details.